LinkedIn is by far one of the best tools for companies to connect with their target clients and with other businesses. Most companies know they have to be on this social platform; however, not many brands know how to make the most out of their social media presence. We selected the top 5 companies that are doing LinkedIn right, and today we’ll show you how they do it. IBM has a mixed cocktail of a strategy. They post about the company’s discoveries and inventions, which is science-focused, but they also do a human approach by showcasing “the first day at the job” stories of their employees. As we talked about in our post 3 Companies That Are Leading Brand Story Telling by Example, story telling is a powerful tool to connect to audiences. These posts have the most engagement and it gives this engineering squared company a human face to relate to. Microsoft knows that they have to provide value to their audience. Their main strategy has been providing informative articles about the workplace. The great thing about their strategy is that those articles come from their own blog. They are creating double the engagement by doing their own branded content. Amazon is doing great on LinkedIn. They have a lot of continual engagement from their audience. Their strategy has been based on talking to their audience as if they were in-person and demonstrating that they care about the world and about their customers. They ask a lot of questions in their posts, which creates high engagement. Nike has a very interesting strategy. 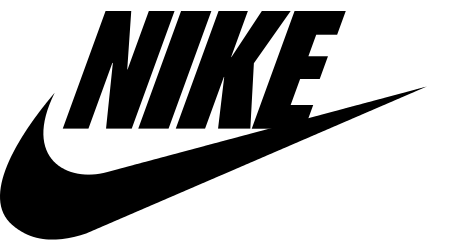 Nike’s posts are mainly about empowering and recognizing individual team members, from their CSO talking about sustainability, to their VP of Global Brand Creative & Experience being nominated as one of the most creative people of 2015. They don’t only celebrate their own people, though; they acknowledge the general public through their social programs that aim to empower mostly women. Although they do post about the company itself, they are mainly focused on individual achievements. Starbucks is arguably one of the best social media players throughout all industries. Actually, they are also featured in our post “Brands and Their Twitter Love Affair.” However, we were surprised to see that this consumer and lifestyle brand is actually receiving significant engagement on LinkedIn. They are not just posting about how to make cocktails out of tea, but they are at-par with the LinkedIn level of sharing their company’s growth moves. Starbucks is also a great model for utilizing a colloquial voice when posting; It’s inviting and their emotions shine through the text. These companies know their LinkedIn audience and know what kind of content they need to provide. Remember: LinkedIn is absolutely a professional network, but every professional is a human being. So the key is to keep a balance between business and personal in your company posts. Also check out our next post on Top Companies On Twitter: Brands and their love affair with twitter.